Irish Garden House: I Wish I Had Created This . . . I Wish I Had Created This . . .
Are you using your own bags for your shopping trips? to take into the grocery store or to the market. Until the other day when I received this little gem as a birthday gift. No need for me to use my large reusable bags anymore. The five bags are contained inside the pouch. Handy for using just one bag or all five for a large shopping trip. right on to the cart until you are ready to use a bag. Bags are easy to remove from the pouch. just wad up the bag and stuff it back in the pouch. Ready it will be for the next shopping trip. I used mine for the first time today. Love it . . . Easy Peasy! As I said, mine was a gift. in the 5 bag or 10 bag size. And a video on You Tube. This is my opinion and I am not being compensated in any way. Great idea. A gift that keeps on giving, too. Good morning, Lynne! What a great idea! Up until lately hubby usually did the shopping, he liked getting the plastic bags only because he would re-use them. 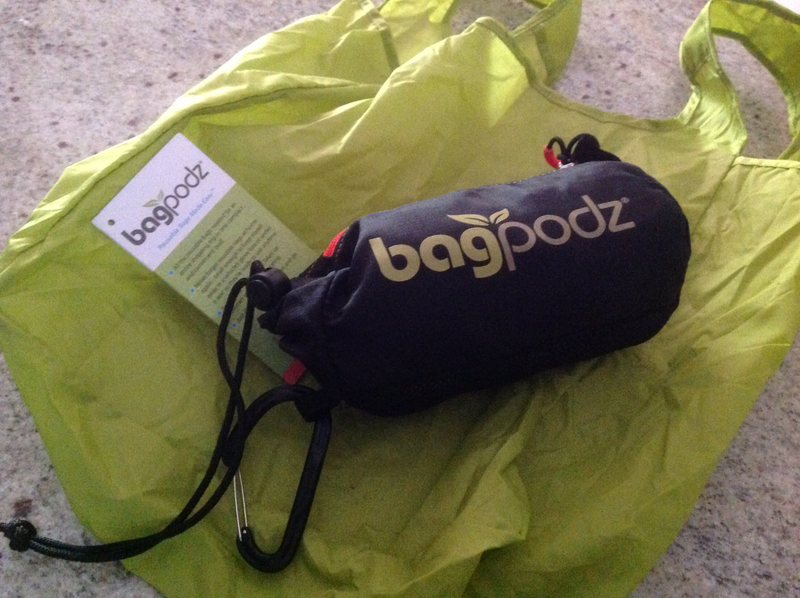 The bagpodz is a great gift idea too. Have a happy day! Those look amazing. What a great gift! Nice review! Smile! Looks like a pool day to me!! I still use my grocery store bags. I got the first ones when they came out at Meijer and have been using them ever since.